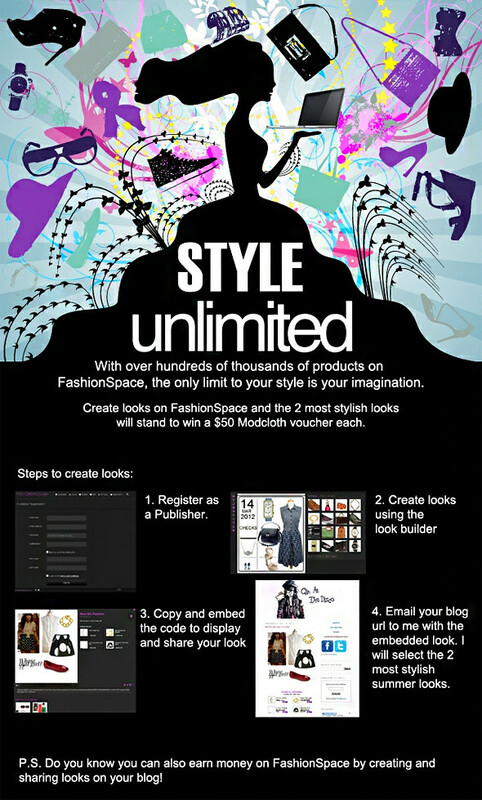 The giveaway for Fashionspace.com have been extended to June 14, 2012 (23:59 GMT +8). Stand a chance to win USD$50 worth of Modcloth vouchers! 3. Leave a comment with your name and email, here. The giveaway is open to all readers internationally! I am happy to announce that I am a finalist for the Singapore Blog Awards, yet again. Honored to be in the top ten representing Singapore's top fashion blogs. It would be lovely if you could cast a vote for me, here. Voting ends June 30, 2012.